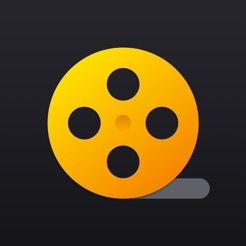 Watchlist is THE BEST way to remember movies and TV shows you want to watch. See availability on popular streaming sources (Netflix, Hulu, Amazon, iTunes) in one app. START YOUR WATCHLIST: Keep a list of movies and TV shows that you want to watch. Double tap a cover to mark it as watched so you can keep an inventory of what you’ve seen. - HBO, Showtime, and Vudu support coming soon. RECOMMENDATIONS: Not sure what to watch? Watchlist recommends critically acclaimed movies right under the search bar. FANDANGO SUPPORT: Watchlist integrates with Fandango so you can quickly buy tickets if the movie you want to watch is still in theaters. ICLOUD SYNC: Your Watchlist is backed up to iCloud so it syncs across all of your devices. BEAUTIFULLY DESIGNED: Watchlist is minimal, fast, and only shows the information you need. This app is made by one designer and developer, Keegan Jones (@keeg). Buy Watchlist to support future updates. For technical assistance, feedback, or other inquires send us a message on Twitter (@getwatchlist) or email feedback@getwatchlist.com. Movie nights are about to get way better. (Don’t forget the popcorn). Watchlist has been optimized for the iPhone X! Incredibly intuitive and a solution to problems for many couples! My wife and I ALWAYS make comments like “I want to see that” or “We will catch that when it’s available for rent” but always forget. I have tried to use my simple Notes app on the iPhone but it doesn’t have the features here. Already watched the movie? Just double click it on your Watchlist! Best of all, it tell you where you can access the movie, rather than search yourself through the services. I’m sure upgrades and features will change, but I am loving it in this early release format and swear I am in no way affiliated with the developers or benefitting from this review in anyway. This is such a kind review! Gave me a big smile. I'm glad you're loving it! Stay tuned for updates to make Watchlist even better. Thanks so much for adding iCloud by the way. You emailed back to me, said you would do it, and you did my man! That’s when I bought the app, and I’m all set on what tv shows to watch next. All organized. Your commitment to updates are awesome, thanks for doing that. It gets better and better. I have a great idea that hopefully you could make happen, too. Could you somehow add in the Seasons for each tv series? for example, I’ve seen Stranger Things Season 1, but I want to see Season 2. That way I can mark that I’ve seen the first season and keep the second season on my watchlist. It would be nice to have! Thanks! I just bought this on my iPad (where I watch most movies) and was disappointed when it showed up in the iPhone compatibility mode. I would LOVE to see this support ipad in portrait and landscape.... then maybe I’ll feel like it was worth my $2. Until then, it’s really awkward to use the app. Another note, for some reason I thought this app would give me a list of movies right off the bat and I’d ‘check’ the ones I wanted to see -discarding the rest. I guess I was thinking of something like a ‘tinder’ interaction where I could filter through an endless list of movies and fill out my watchlist as a form of exploration.